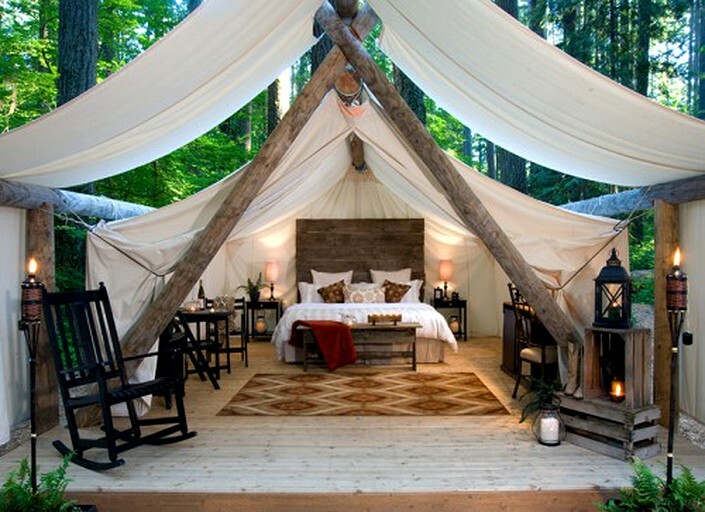 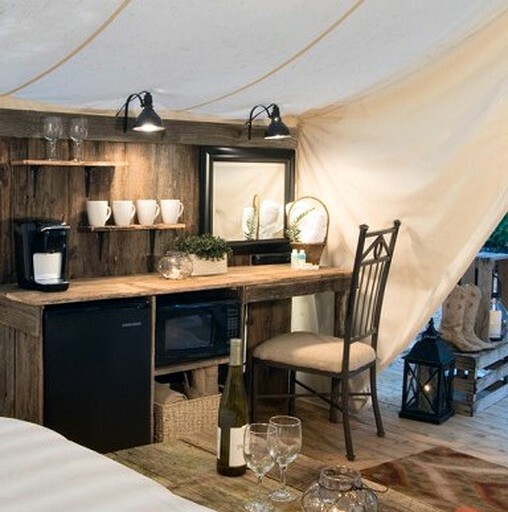 Stay in an exclusive tent like never before and be surrounded by luxury camping cabins in Olympia, Washington. 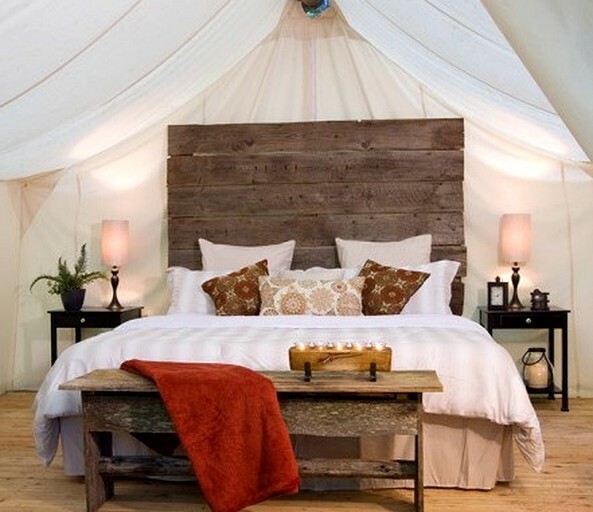 The rustic cabin is carefully appointed with a romantic flair and old world charm. 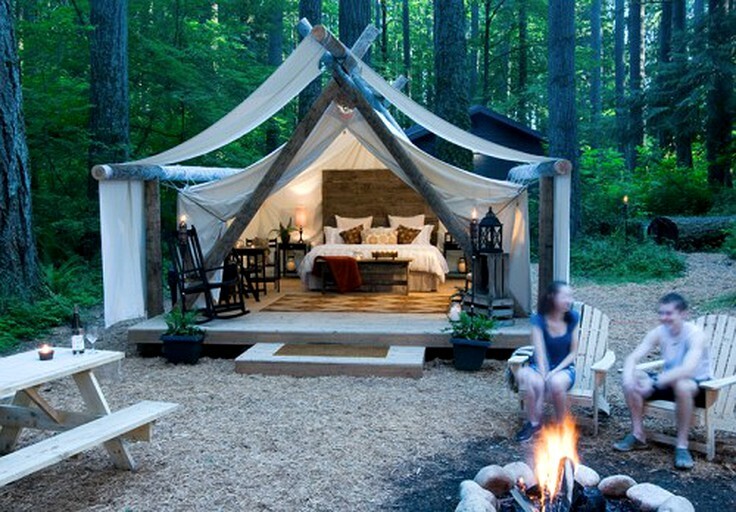 It's nestled within the trees at a site that’s relatively near the restrooms and showers. 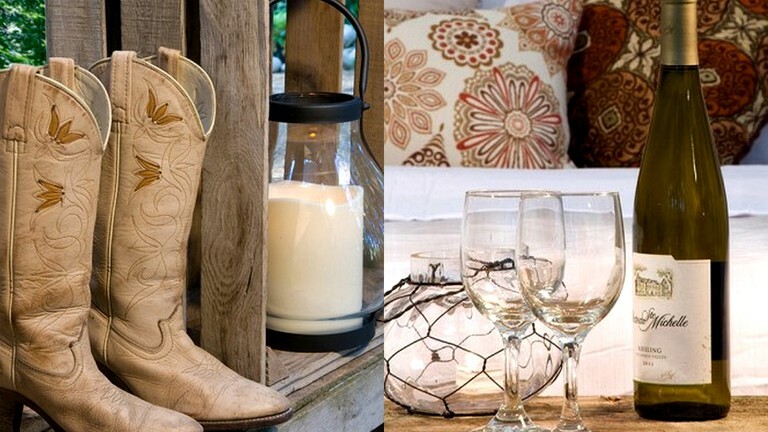 This is done in order to give guests the conveniences they deserve on a personal weekend getaway.